The secret is out of the bag box. 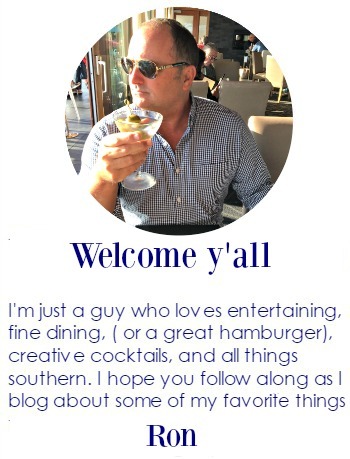 I have been keeping this secret since approached by Katy Danos in October. 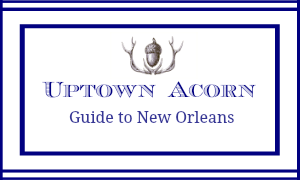 Katy was writing a feature for the New Orleans Advocate's ADORE magazine highlighting 5 local stylemakers in New Orleans and the methods each used to wrap seasonal gifts. 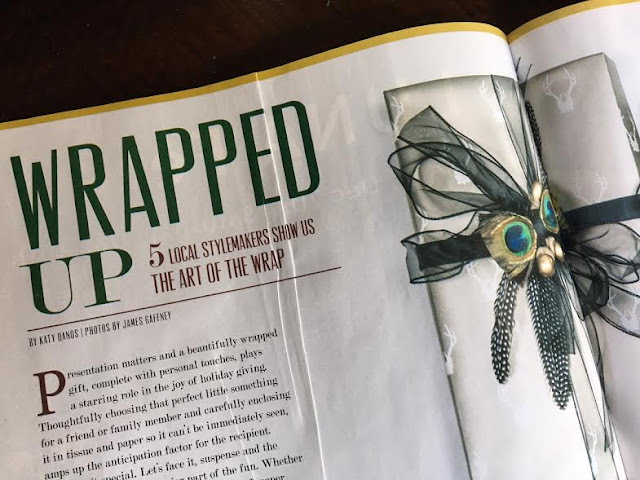 The article in ADORE is titled, Wrapped Up, 5 Local Stylemakers Show Us the Art of the Wrap. 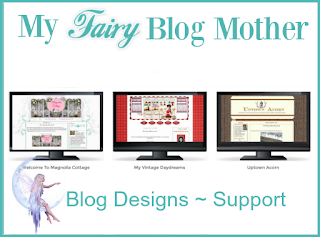 Check out the feature: click HERE. Uptown Acorn is on page 24. After saying "yes", a million and one designs for wrapping gifts went through my head. In the end, I decided to stay true to my style. 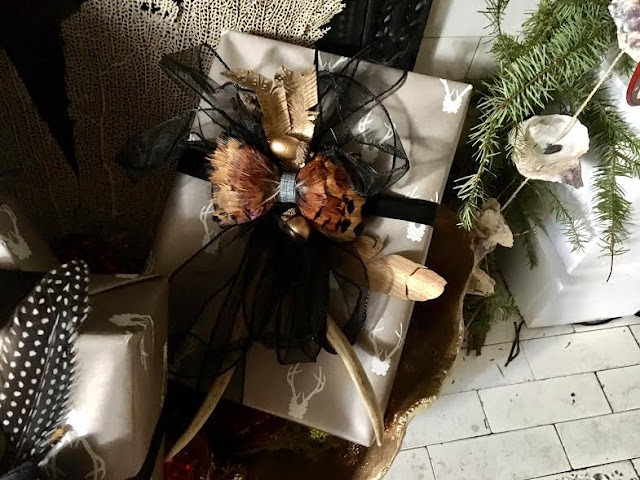 I chose a Ralph Lauren-esque style wrap using masculine papers and natural items. 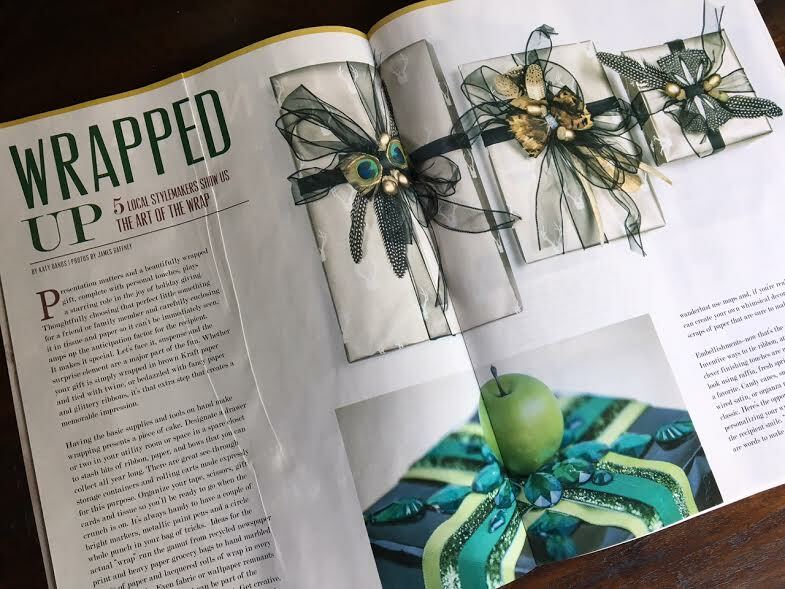 The article reads: A spectacular array of stunning packages in Ron Carrier's signature magical forest-style features sophisticated combinations of humble Kraft paper, fancy organza ribbon, and just the right amount of matte gold leaf. Highly textural and densely detailed, the gifts are adorned with acorns, pods, and feathers mixed with antlers and coordinating ribbons. 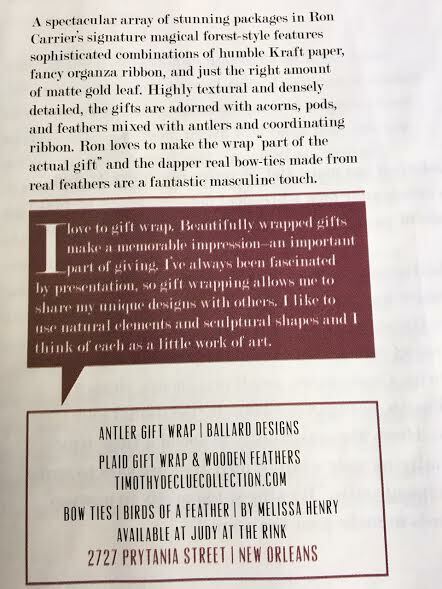 Ron loves to make the wrap "part of the actual gift" and the dapper real bow-ties made from real feathers are a fantastic masculine touch. I love to gift wrap. 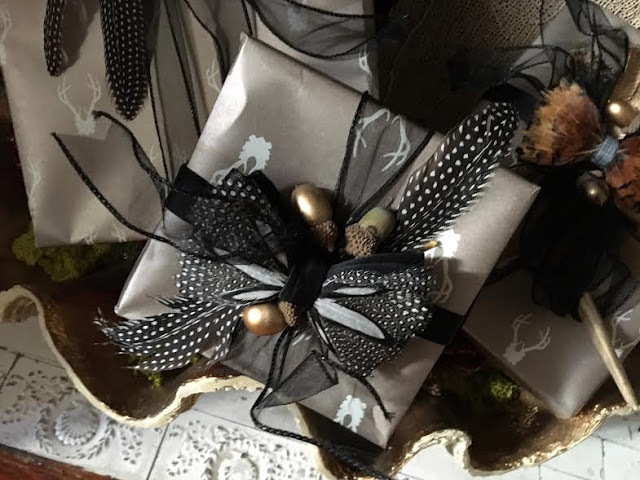 Beautifully wrapped gifts make a memorable impression - an important part of giving. 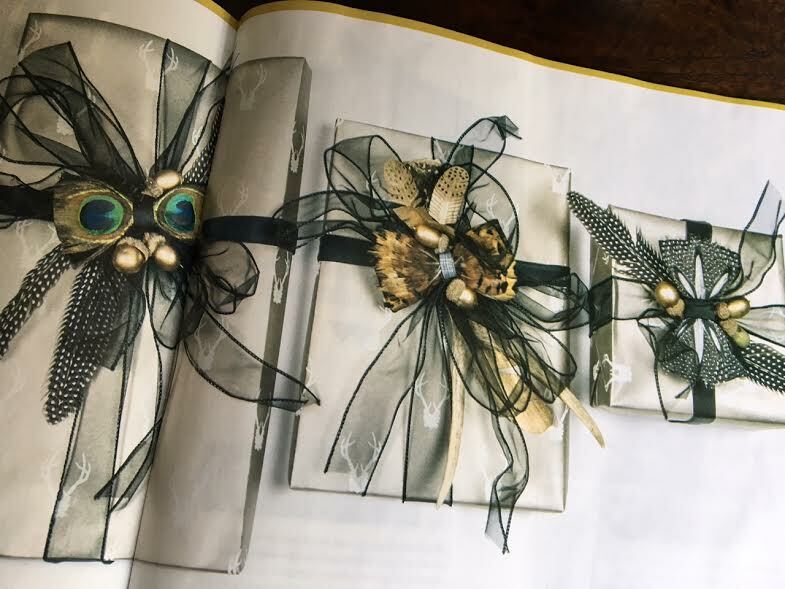 I've always been fascinated by presentation, so gift wrapping allows me to share my unique designs and style with others. 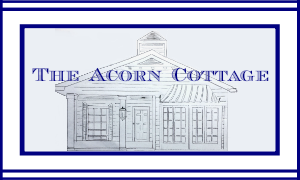 I like to use natural elements and sculptural shaped, and I think of each as a little work of art. 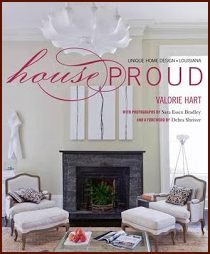 Special thanks to Katy Danos for the ask and the beautiful article and to James Gaffney for the amazing photography. Absolutely gorgeous! 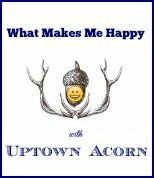 I love the feathers and the acorns. How beautiful and congratulations! What an honor! 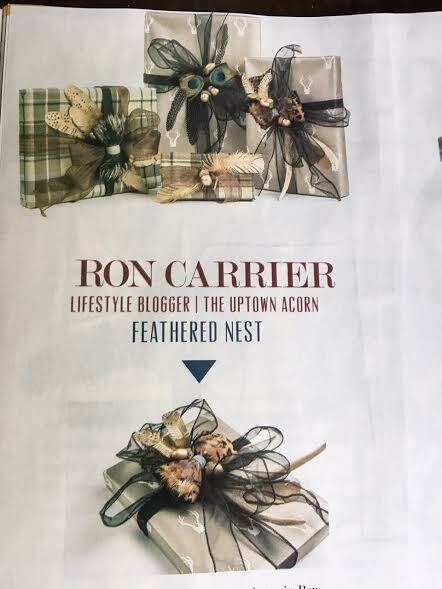 Congrats Ron! 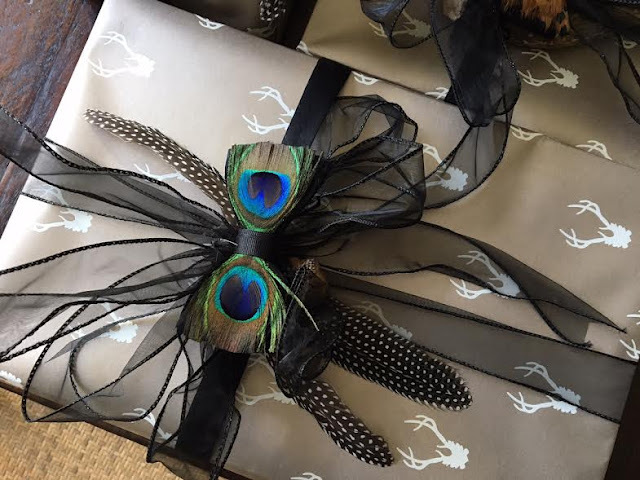 Your wrappings are unique and very stylish. I am proud of you! How cool is this! 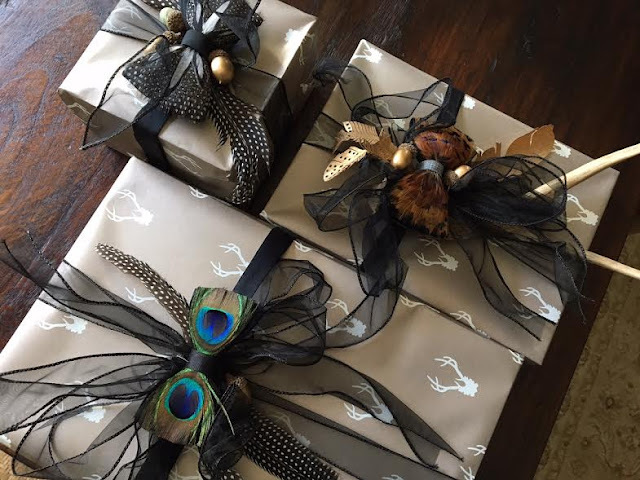 I love your wrapping ideas! Glad I could be a help. Wow! 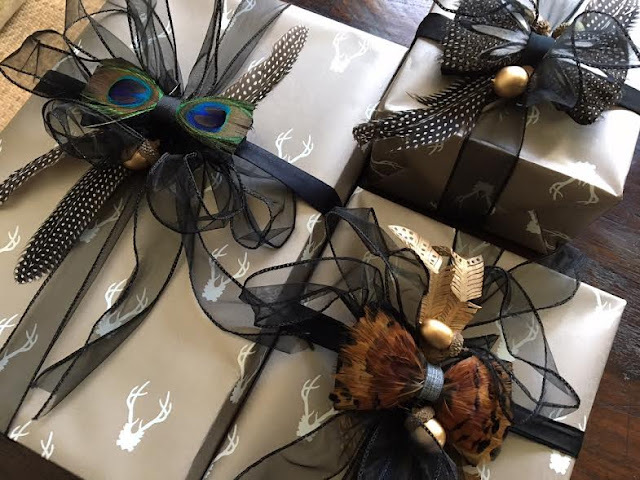 I'm just blown away by these gorgeous wrapped packages! I never knew you were such a creative and professional gift wrapper. I've never seen any like those before. 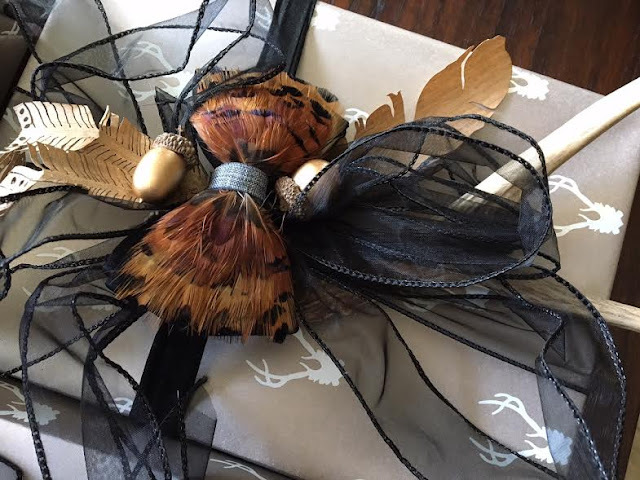 I love the antler paper and the feather bow ties. 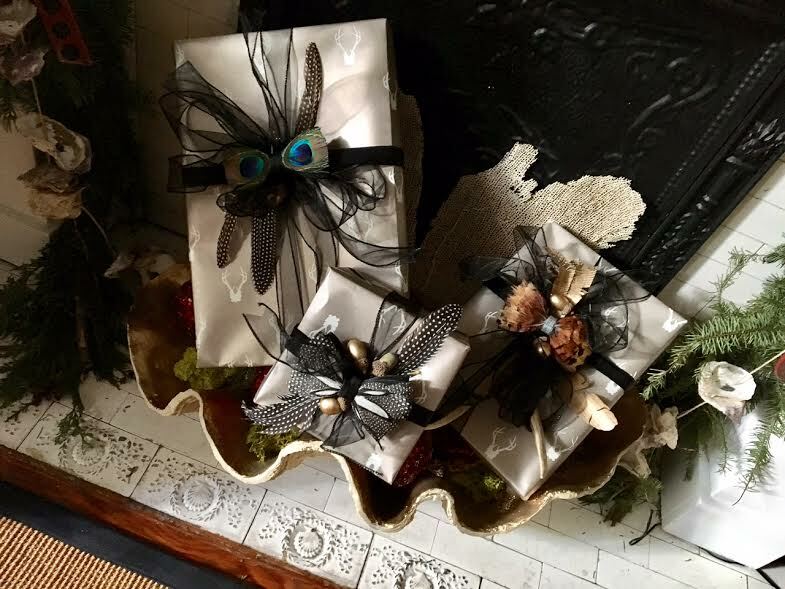 Every detail has been thought out and they are too pretty to un-wrap! Congrats on the magazine article too. Congrats Ron. You deserve this. The packages are gorgeous. You stinker...LOL..you didn't tell me. Love your signature style! You so deserve the honor...congratulations Ron. Oh my word Ron, your packages are totally amazing. I love them all. congratulations!!!!!!! Seriously, I do love the idea of feathers as bows. Congratulations on being featured in the article. Ron, these gifts are just gorgeous! 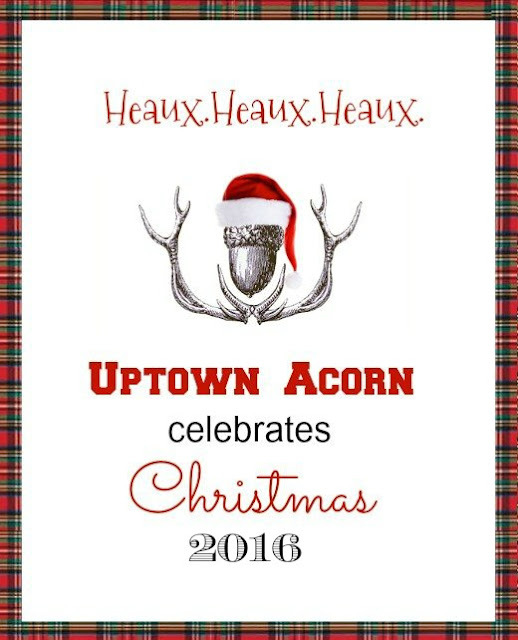 No cheesy gift bags for you! Your a local "style maker". Congrats and beautiful wrapping is an art that is quickly fading with the bag wrap generation. I still wrap everything! This is fantastic Ron! You do keep a good secret! I didn't realize that those were real bow-ties. Such creative and beautifully styled gifts! Love how the feathers add so much to the design. Thumbs up my friend! Ron! These are beyond gorgeous. I love them so much! Congratulations on the feature! I have always had an affinity for feathers and anything bird related. 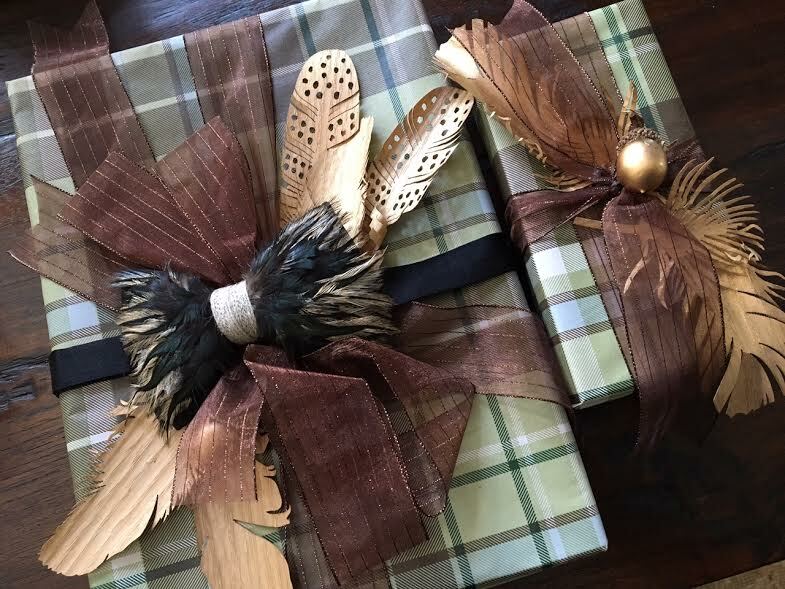 I'm thinking feathers need to go in my stash of gift wrapping accessories.